New Author 14th January 2018 Arsenal, arsene, Premier league, wengerTagged arsenal, EPL, footballLeave a Comment on Wengers Wild West Shootout…. With the twirling, dusty winds of the plains battering each building that inhabited what the denizens called a town, these very people were hunkered down in the saloon. The place that old or young frequented, it was the epicentre for all. Ol’ Adrian was rushed off his feet trying to serve all who were drinking this day. Lucky enough the only thing on the menu was whisky. Jamie was letting his fingers do the talking, playing endless ditties on the organ. The tunes he belted out on the ivories weren’t exactly melodic but enough to blot out people focusing on their humdrum existence. The whisky helped too. The town had been plagued by raiders for years now, the frequency of their visits were increasing. Once upon a time the people could rely on sharpshooters to defend the towns resources, but that time had passed. With each raid it seemed the nefarious forces grew stronger. the more they took, the stronger they grew and the weaker the town became. Now it seemed it was only a matter of time before the citizens would have to hitch up their wagons and start afresh. The saloon doors were swinging wildly – as if to dance to the jaunty notes that floated around the bar. Now they stilled as a hand parted them. The hand belonged to the Sheriff in town. Once the steadiest this side of the Pesos, now reduced to more tremors than the local gold mine. 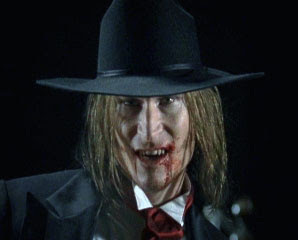 This was the cause of the demon drink of a questionable source offered by Ol’ Adrian. It was the Sheriff’s solace and his downfall. He wasn’t always a failed Lawman. Once, he was the only man respected enough to lead a resistance and repel overwhelming forces. He was revered across the land. Now though, gangs looted his beloved town at will and sought out every opportunity to lord it over the once cogent Chief. Every time a townsperson was hurt or killed, on every occasion something was taken by these vultures, he blamed himself. The problem wa though – so did everyone else. As Sheriff Wenger stumbled into the building, he remembered how he used to be greeted. With respect and admiration. Now, his presence was met with sighs of derision and occasional spits of tobacco. It didn’t matter anymore, as long as his path to Ol’ Adrian was unhindered and he could get his liquor, then they could do as they please. He deserved it. He owed these people and he let them down. He tripped over one of the many loose floorboards and was sent sprawling, but managed to clamber up the bar. The laughter pealing around the room was at his expense. He paid it no heed and nodded his head at Ol’ Adrian, who duly obliged by skidding a bottle of ruin along the glass littered bar. Wenger of old would’ve snatched the bottle slickly but the present day Sheriff only managed to thumb it to the floor where it was met with a smash. Wenger crumpled to his knees, trying in vain to scoop some of the liquor up with fragments of the bottle. A pitiful sight. He was only saved more embarrassment by the thundering of hooves. The twinkling of keys abruptly ended, which in turn made the incoming arrival of horses seem ethereal-like in its noise. Every person who was drowning their sorrows had now put down their glass and swung their heads to the saloon doors. They waited. They knew. Such was the frequency of the looting from these hordes, that a regular date had began and so it started that all produce and what little money flowed around the ramshackle town was to be gathered in advance of the gangs showing up. They were promised less pain and death if they did as they were bid. In reality, they had no choice. Everything was in place, now all they could do was hope that they took what had been left and would leave them alone. The object of everyone’s attentions now turned to the Sheriff. The man who was supposed to help them. The man who used to be the hero that they needed, but was now less use than the measuring tape Robbie Savage the tailor had hanging around his neck. He hadn’t made an item of clothing in months yet proclaimed to be the finest tailor in town. He was the ONLY tailor in town and STILL wasn’t the best. The Sheriff, now on his feet and looking toward the doors, suddenly noticed the room full of eyes. He started to walk toward the exit. He was stopped by a handful of people. Ol’ Adrian spoke up, suddenly the ambassador for the town. ” Sheriff, we all think it’s time you left this place. You’re a disgrace to the badge and to your profession. 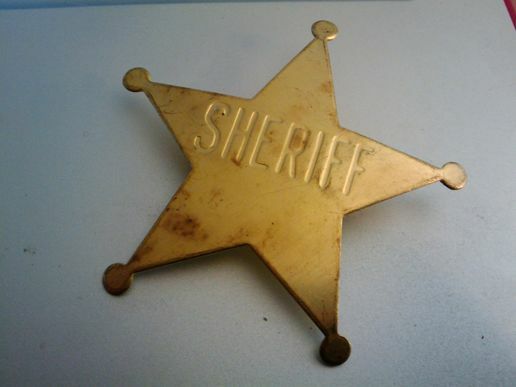 ” With that, Jamie the Piano-Man walked up to the Sheriff and ripped the dulled gold star badge from his chest. Even with such forcible patronising there was no sign of retaliation from the once proud Lawman. He just looked at Jamie. By now, the hooves had got closer and the vitriolic looks had grown more potent. The Sheriff, now no longer swaying nor stumbling, made his way through the doors and toward the apocalyptic sounds. His faithful Deputy, Bould, was waiting faithfully outside. He had the reigns of his faithful steed, Gunnersaurus, in his hands. Sheriff Wenger offers his ally a look that needs no words. The impending doom that was the villainous cartel were now here. Led by Tired Eyes Pelegrini, this was just one of the gangs that had blighted the existence of this shell of a town. His horse, which snorted heavily, was glistening with sweat. Surrounded by at least fifteen of his men, Pelegrini had a grin on his face which showed all three of his blackened teeth. His filthy serape cavorted in the wind. As a reply, the fifteen members of the gang cackled and whooped. A few spat on the floor and one, Quickfire Sergio, shot his gun in the air in glee. With all the noise and commotion and Wenger’s presence, Pelegrini and his hordes hadn’t noticed that Deputy Bould had slipped away. He was currently behind the gang, lighting a fuse that led to a surprise for the debased throng. The surprise was a small amount of TNT, just enough to take out the back markers of the crew, provide a distraction to the rest and provide a signal. A signal to attack. In the dry air, Sheriff Wenger could smell the lit fuse. He met the glare of Tired Eyes Pelegrini and fixed him with a stare that hadn’t been witnessed since the Shootout at The Lane in ’04. Pelegrini blanched at the Sheriff’s iron stance and steely eyes. He knew something was different. At that moment, the air around them changed and popped their ears. A ‘WHOOMPH’ erupted which engulfed the back two or three of the cartel in flames and smoke. The braying of the panicked horses bred panic amongst the looters. Tired Eyes Pelegrini tried in vain to muster a response. Sheriff Wenger lifted the brow of his hat after he had used it to shield his eyes from the explosive debris. His hands – now steadier than a whore taking money – whipped to his belt. Now a blur, they wrapped around his silver sixshooters and before his enemies were even aware, he had shot Tired Eyes Pelegrini in the leg. On top of every roof and completely surrounding the remnants of Pelegrini’s cohorts, was a sharpshooter. Contacted weeks ago in advance by the now dry Sheriff – they had discussed at length the best plan to keep these men at bay. The result was all the evidence needed that the Sheriff and his team were back in business. The sharpshooters fired a hail of bullets down on Pelegrini’s men. Even Quickfire Sergio had no answer. They fled the town, bleeding and with a painful reminder that this town was no longer for the taking. Tired Eyes Pelegrini now lay in the swirling dirt. His leg rendered his repeated attempts to get up moot. Sheriff Wenger took slow, purposeful steps toward his prone victim. Wenger hunkered down so that his hushed tones could be picked up by a now tearful Pelegrini. Tired Eyes Pelegrini was unceremoniously lifted and plonked onto his horse. With a slap to the behind of the steed, the defeated leader left the scene. Sheriff Wenger offered a tip of the hat to all of his sharpshooters and wheeled around to the entrance of the saloon. Every resident of the town had gathered on the outside of the now silent saloon doors. Ol’ Adrian, arms crossed, begrudgingly said to the Sheriff, ” I suppose you’re not finished yet. Maybe I was wrong. ” He shoved Jamie the Piano Man toward the now reinstated Sheriff. Robbie the redundant Tailor had his hands stuffed into his pockets with his eyes unable to meet Wenger’s. Jamie shyly re-pinned a now re-polished Sheriffs badge upon Wengers chest. Deputy Bould placed a hand upon his shoulder and offered his congratulations. There were still moments of tragedy and pain in the years that followed under Wengers tenure. He also oversaw moments of triumph. Either way, he proved that with the vanquishing of Pelegrini against the odds, that he still had what it takes despite the volume of doubters. They would always be there, but their niggling voices were now consigned to the background. He wasn’t perfect, but he was the right man to lead them.